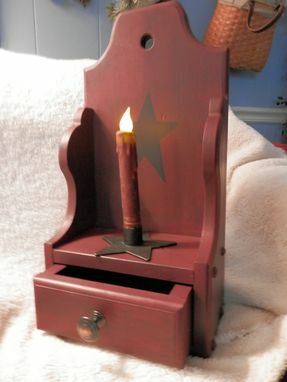 Very cute candle shelf or knick knack holder. Can stand alone or mount on wall. 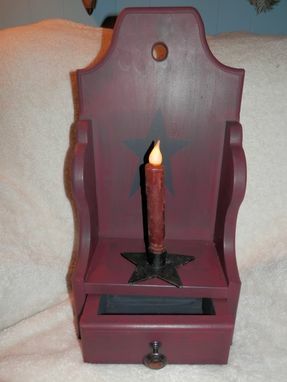 18 inches tall..9 inches wide and 5 inches deep with drawer. Shown in wine over black base coat. We can sand back the paint for a distressed rustic look too. Just ask when ordering. Accessories not included.